The story of Onondaga Lake’s remediation and restoration and the partnership between Honeywell Corporation, community members and national experts is an important one. 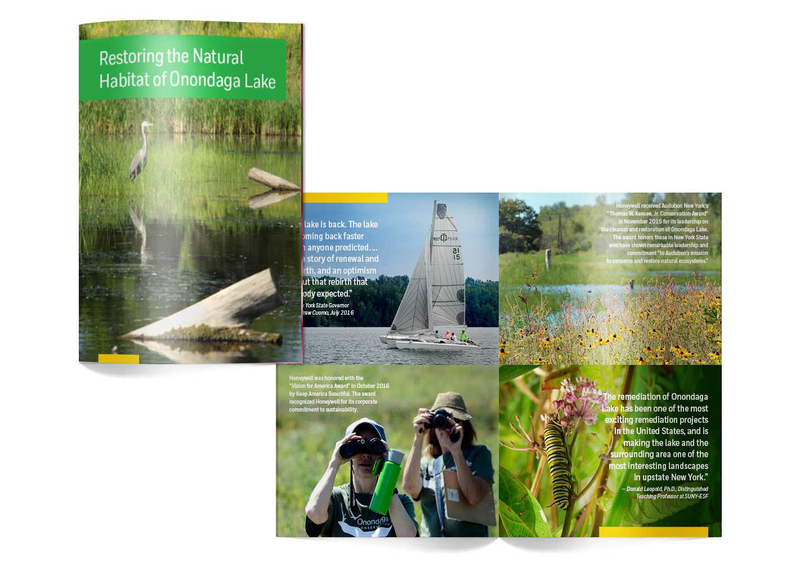 We helped the Onondaga team tell that story through the design of a special print piece. 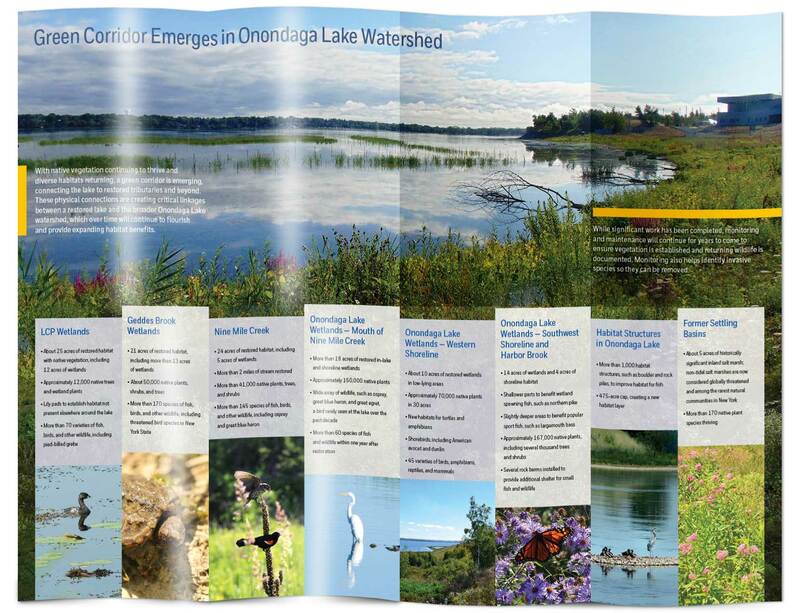 The multi-panel brochure shows the Lake as it is today and documents the real-world steps taken to restore the habitat over the past decade. 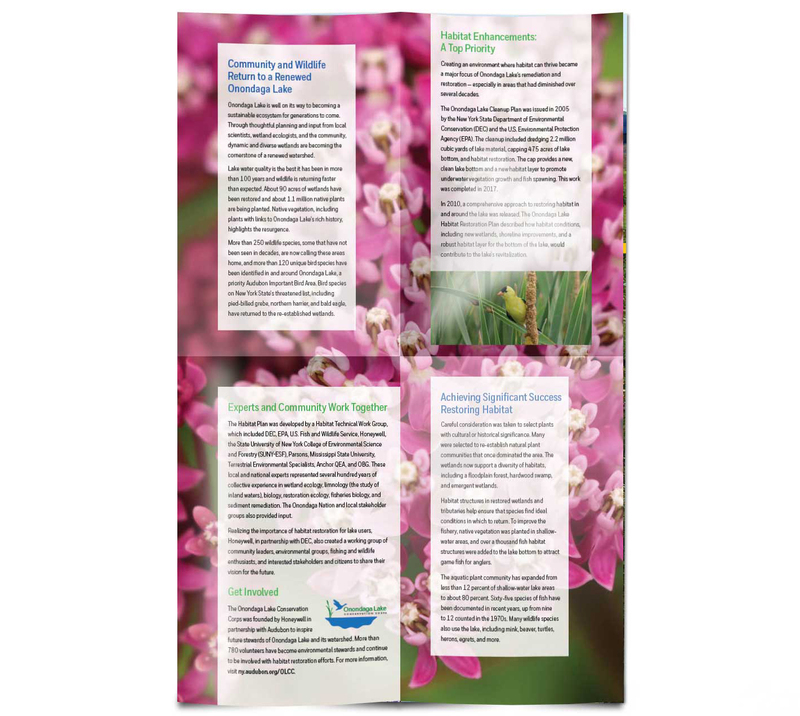 Designed both for visitors to the Lake and to keep local leaders up-to-date and well informed, the brochure is just one small part of a long-term effort to promote Onondaga Lake and its rich natural history.